At this nanoscopic scale, particles don’t act like larger objects, whose position over time is well defined, such as an airplane or an apple falling from a tree. For this, they use the Schrödinger Equation, a mathematical description invented in the ’20s that describes how these crazy particles move as a wave over time. At least, they did until Poirier took another look at the wave and upended established quantum theory. Some physicists can make much about the philosophy of quantum mechanics, Poirier said. For a chemist such as himself, however, he is less interested in the philosophy and more interested in solving Schrödinger’s quantum wave equation to help him understand chemical reactions. The concept of many quantum worlds isn’t quite new. In the ’50s, a graduate student at Princeton University named Hugh Everett III had a similar explanation to account for the strangeness of quantum mechanics. Poirier said Everett Many Worlds theory is based on the standard quantum wave mathematics, so it is not clear where the worlds actually come from or how they’re defined. Critics disagree with the theory for this reason and because the universes fork into countless more each time scientists, say, take a measurement. A and B are two “entangled” quantum particles. A measurement of particle A correlates instantly with a measurement of faraway particle B, which seems to violate relativity. (How can A get a signal to B faster than the speed of light?) MIW describes this as follows. The two black discs represent particles A and B in our world. There is also a neighboring world in which A and B also exist, but at slightly displaced positions (the open, dashed circles). The two interact because they are close to each other, even though the two are far apart. Wireless Energy Transmission On A Global Scale? Tesla Would Be Proud. If only Nikola Tesla (inventor of AC or alternating current that is used world-wide, the fluorescent tube that we use to this day ) were alive to see this now; a group of Russian physicists are picking up from where he had left off, using his patents and ideas to finally create the masterpiece that had been long suppressed: wireless electricity transmission. Their work has been largely forgotten, and just like Tesla himself they have not reached their funding goals, but they still seem to be publishing updates regardless. In 1891, Nikola Tesla gave a lecture for the members of the American Institute of Electrical Engineers in New York City, where he made a striking demonstration. In each hand he held a gas discharge tube, an early version of the modern fluorescent bulb. The tubes were not connected to any wires, but nonetheless they glowed brightly during his demonstration. Wireless electricity transmission solves a number of problems: it allows people to receive electricity without large-scale infrastructure costs, transmission to remote locations becomes feasible, and terrain is no longer a restriction. This ONE invention could well grant billions of people access to life-empowering electricity… Assuming they succeed that is. The basis for the project involves using the Earth as a wire, rather than a physical wire. Anybody who understands electric circuits realizes that most devices come with three wires: Live, Neutral and Earth. Normal transmission of electricity starts at a power plant, and is sent through the live wire. It returns via the neutral wire. There a reason for having an Earth wire though: The Earth is described as the destination of lowest “potential difference”, a potential difference being analogous to gravity… but for electricity. The Earth is also in a sense, for the purpose of electrical transmission, fairly conductive. In the event of a short-circuit, electric current often builds up in the device …. until an object touches it and completes a circuit leading down to the Earth. That object is often an unwary person, who would soon get a shockingly informative lesson on physics. The Earth wire is designed to take the charge straight into the Earth, in the place of the unfortunate victim. Hence its name. Anyway, long story short, Tesla hoped to use the reverse process to transmit electricity directly; no need for Live or Neutral wires, when the Earth is sufficient. The Earth itself would be “charged” up like a giant battery via a Tesla Tower, causing an opposite charge to be created in the ionosphere. This massive potential difference would allow transmission of electricity to anywhere where a receiver is equipped with an antenna and an Earth wire. Imagine watching TV via the power of lightning. There are other aspects of Tesla’s work that are not being addressed by the scientists at this point, one of which being electricity generation rather than mere transmission. 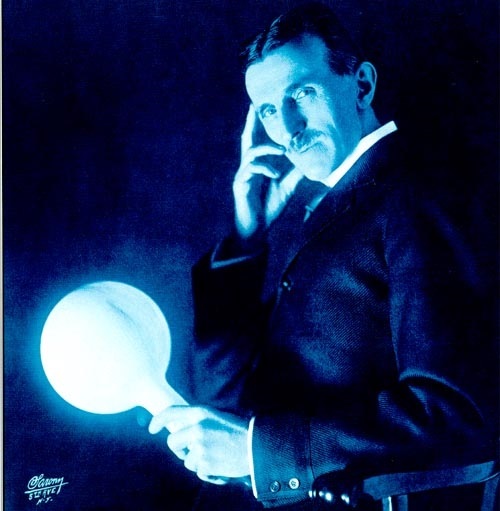 By using the Earth as a dynamo, or by making use of the existing potential difference between the ionosphere and the Earth, Tesla had hoped to be able to generate electric charge which would then be dissipated around the world. The man was ambitious. 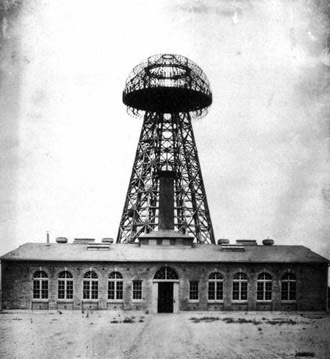 Tesla’s ambitions were thwarted by money; the first real Tesla tower, the Wardenclyffe Tower, was near completion and showed “encouraging signs”. The project would be abandoned when Tesla himself spent all his savings on the project. Disclaimer: the website was written by Russian scientists (duh), and the English used within was at times difficult to understand. I apologize in advance for any misinterpretation of their work. 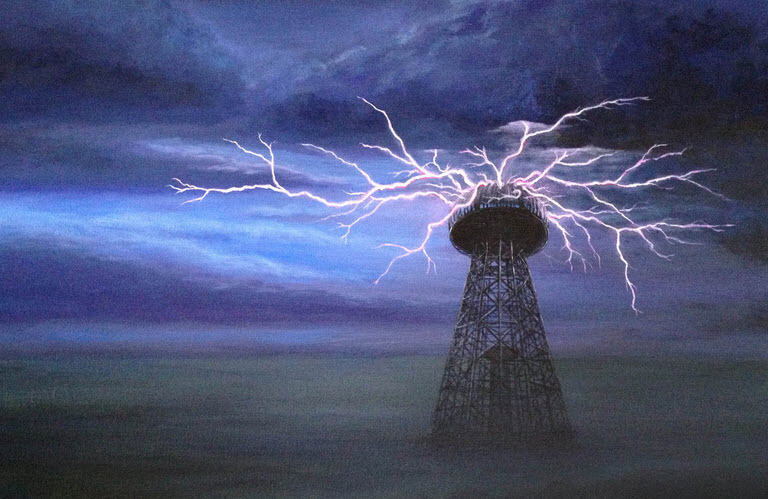 It should be noted that several potential problems regarding Tesla’s idea exist: wireless energy transmission on its own might be very inefficient, as the stored charge in the ionosphere/ Earth might randomly discharge as lightning. This problem might be mitigated if we were to use the existing charge in the ionosphere as a means of electricity generation though. Other problems probably exist that reduce the efficiency of this method, but it remains a field worth exploring.